Powerco aims to be a reliable partner for New Zealand’s energy future. They see electric vehicles as an integral part of how energy infrastructure will be used in years to come. Reasons behind transitioning to EVs? Converting Powerco’s vehicle fleet to electric is just one way they can support the move to renewable transport – and the company says it also made economic sense. They are using their fleet to learn about the impacts of a large scale adoption of EVs in New Zealand. This will help them better understand how changes in electricity needs might affect the design and operation of their future network. Powerco has already begun its transition to EVs by purchasing a Mitsubishi Outlander and two e-Golfs as pool vehicles in their New Plymouth fleet. This is just the start – they’ll continue to invest in more EVs as their current fleet is retired. Over the next few years they will be running trials to model EV’s charging needs on residential and commercial premises. What EVs are now included in the fleet? What investment in infrastructure has been made? Powerco is working with customers and technology providers to install fast chargers and slow chargers across their network. They’re also working with Charge Net to roll out a number of fast charging stations across the footprint, and are installing chargers in their office sites. How has the transition been received? Staff are hugely supportive of the new vehicles and they are frequently booked out. 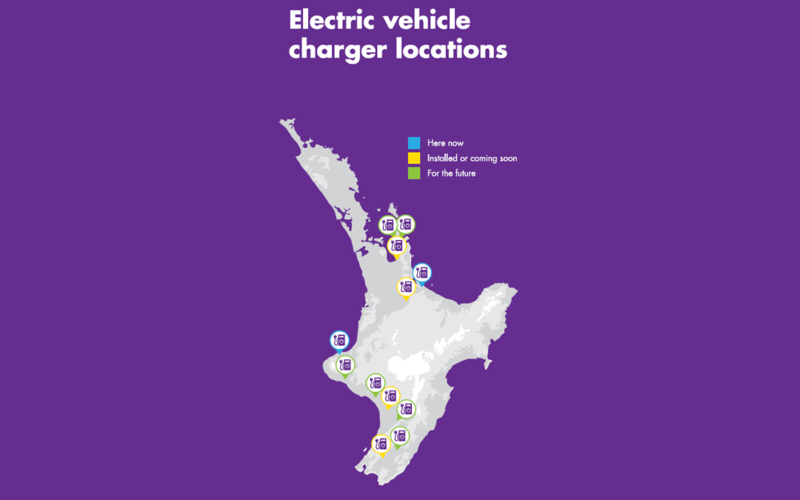 Powerco’s customers have also reacted positively to the new charging stations in New Plymouth and Tauranga. The company has begun learning and modeling how EV charging will affect future network needs and are already catering for this in their planning. Being an electricity distribution company means they have a lot of staff enthusiastic about EVs. The power systems engineers are eagerly awaiting the arrival of these vehicles and the company’s fleet manager has successfully encouraged staff to use new vehicles. They have also created an information portal where staff can view how much energy is consumed by the EVs. Staff have enjoyed how quiet the driving experience has been and have commented how quickly the vehicles respond and accelerate. Powerco’s shareholders, QIC Limited and AMP Capital, are supportive of the investment made in the vehicle fleet and the infrastructure for customers.